Shut Down The Psychiatric Gulags - Don't Build More! "That day, county supervisors ........ voted to spend nearly $2 billion on a long-sought jail to replace notorious Men's Central, a facility that federal investigators say is plagued by suicides, abusive conditions and violence. The funds will build a two-tower compound given the ungainly name "Consolidated Correctional Treatment Facility." According to the article it will be a 4,860 bed facility, 3,260 (67%) beds of which will be dedicated to treating prisoners with mental illness. My most recent post on the matter includes information that LA County jail has 19,386 inmates and that recent epidemiological surveys suggest that 30-45% of inmates have problems due to severe mental illness and impaired functional capacity. That suggests that unless public policy changes, the most expensive building project in LA County could be overwhelmed by demand before it gets started. The author in this case points out the folly of building this tower. It is basically the folly of building any large psychiatric facility in the absence of any other infrastructure, but in this case compounded by the fact that this is in fact a jail and not a treatment facility. There is really no evidence that the problematic aggressive or suicidal behavior will be any better in a new "two-tower compound" with the same jail atmosphere and mentality. I have previously posted about the plight of the mentally ill being incarcerated in America and the fact that county jails are currently our largest mental institutions. It is a basic collusion between governments at all levels and the business community to enrich corporations that have been set up to "manage" the American healthcare system. As usual, the most vulnerable people are "cost shifted" out. Cost shifting refers to cost center accounting that basically leads divisions within the same organization to try to save money on their budget by shifting the costs to somebody else. In managed care systems it can lead to all kinds of distortions in care. It also happens with outside agencies. I was told about a situation where workers in one county actually dragged an intoxicated patient over the county line and into another county so that patient would no longer be their financial responsibility! Cost shifting is the end result of these perverse incentives. 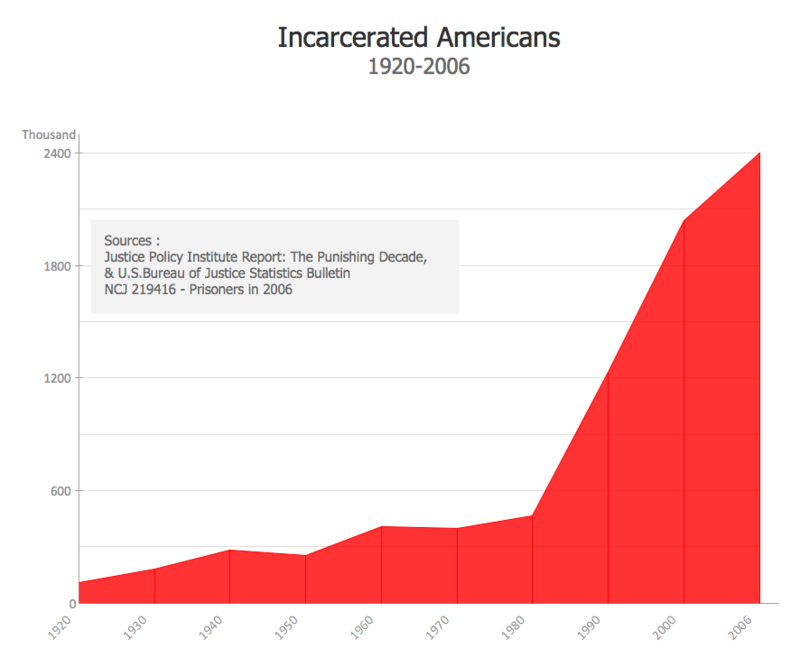 There is perhaps no better example than incarceration rather than hospitalization. There are estimates as recent as from a few days ago that treatment and possible hospitalization may cost $20,000/year as opposed to incarceration costing $60,000/year. In both cases the taxpayers pick up most of the tab. The cost shifting has occurred from insurance companies and health care systems to the correctional system. If an insurance company can dump a patient with a severe mental illness into jail, it doesn't cost them a thing. If that same patient is hospitalized they may receive a one-time DRG (Diagnosis Related Group) payment of about $5,000 irrespective of how long the patient stays. The hospital incentive is to get them out in 5 days whether they are stable or not to maximize profit. When they are discharged, the patients are generally expected to go to appointments to discuss their medications. Clinic profits on these visits are minimal but the main problem is that many of these appointments are missed - in some cases up to 50-60%. Many of these patients lack stable housing and they frequently end up back in the emergency department and back in the hospital. Hospitals now have bottlenecks in the emergency department and many people are discharged back to the street. The cycle of ineffective care continues. I can attempt a brief analysis of the problem as I watched it unfold during 23 years of inpatient practice. I will demonstrate how things have changed to the detriment of patients with severe mental illness. Consider the hypothetical case of Mr. A. He has diagnoses of depression, schizophrenia and alcohol dependence. He recently ran out of his usual medications and started drinking. He became progressively depressed and stopped talking with his family members. They went over to see him and noticed he has a loaded handgun on his table and was talking about shooting himself. They called the police who came, confiscated his handgun, noted that he was acutely intoxicated and sent him to the local hospital emergency department. How has the management of this scenario changed over the past 30 years and why? In the early 1980s, Mr. A would have been assessed as a person who was high risk for ongoing suicidal behavior (depression, schizophrenia, alcoholism and acute intoxication) and admitted to a psychiatric unit. The psychiatrist there would have done everything possible to stabilize all three conditions even if it meant civil commitment to a long term care institution. The length of stay (LOS) would have been on the order of 20-30 days comparable to many current psychiatric LOS in the European Union. By the late 1980s, a managed care company would have called the hospital or psychiatrist in charge. They would initially demanded that the patient be discharged to a county detox facility. They would claim that alcohol withdrawal detoxification was not a psychiatric problem, and therefore the patient does not meet their "medical necessity criteria" for inpatient hospitalization. If that was ineffective they might say that he was no longer "acutely suicidal" or "imminently dangerous" two additional medical necessity criteria. In the end they always win, because they just stop paying and the administrators force the clinicians to discharge the patient. The length of stay is now down to less than 1 week and the patient may not be stable at all at the time of discharge. By the 1990s, the patient might not even make it to the inpatient unit. By now psychiatric departments are continuously burned by managed care companies, especially in the case of any patient who is acutely intoxicated at the time of admission. Many have closed their doors. Many departments have strongly suggested that the emergency departments send any intoxicated patients directly to county detox units if they are available. The counties respond by refusing to take any patients on any intoxicants than than alcohol and even then the patient has to blow a number on a breathalyzer consistent with acute alcohol intoxication. At any point in this process a decision can be made to just send the patient home. There are various ways the patient can access more firearms at that point or even get the original firearm that was confiscated. There are also various ways that the patient can end up incarcerated including going back home, drinking and getting arrested for disorderly conduct or public intoxication. A more complicated situation occurs if the patient is intoxicated and wanders into a neighbor's home or place of business. I have seen people end up in jail for months on trespassing charges in these situations. And that brings us in to the 2000s where it is much more likely that a person with severe mental illness will be incarcerated than even make it to the emergency department. In the 2000s the patient may end up stranded in the emergency department for days or sent home with a bottle of benzodiazepines to handle their own detox if they can deny that the are "suicidal" consistently enough. There is also the mater of inpatient bed capacity. Fewer beds are full constantly because bed capacity has been shut down due to managed care rationing and people are often released because there will be no open beds in the foreseeable future. The LOS in many cases is now zero days, even for people with severe problems. How did all of this happen? How did the care of mental illness and addictions fall to such a miserable standard? It is documented in many posts on this blog. Professional guidelines were compromised and treatment infrastructure was destroyed by the managed care industry and the politicians who actively supported and continue to support it. Professional organizations don't stand a chance against pro business state statutes, commissions stacked with industry insiders, and federal legislation that protects these companies from lawsuits for interference with care. 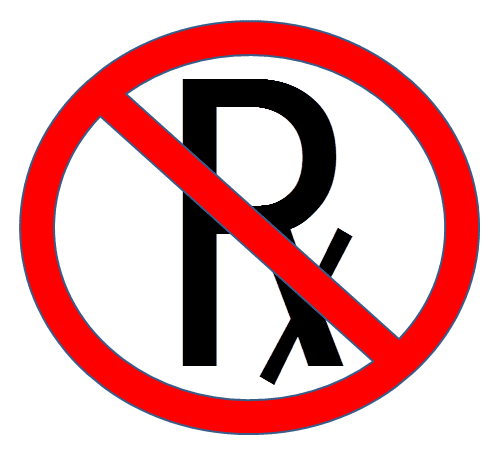 Even a travesty as basic as prior authorization for generic drugs is unassailable. I don't understand why these basic facts are so incomprehensible to people in the field. Just a few hours ago, 1BOM posted a Hall of Shame of entities the original authors claim are failing people with severe mental illness. This list completely misses the mark and is probably a good example of how deeply entrenched the mechanisms are to prevent treatment and shift costs away from states and health care companies. There are countless easy solutions to the problems, but the companies in power literally do not want to spend a dime. The patient with severe mental illness can receive comprehensive community services and be maintained in their own housing at a cost of $10, 000 to $20, 000/year for clinical services. That same patient costs corrections departments $60,000 per year. That patient currently costs managed care companies nothing if they can transfer their care to a local state-funded Assertive Community Treatment (ACT) team. Managed care companies incur the same cost if the patient is transferred to the correctional system. If ACOs come to fruition and all of the chronically mentally ill are enrolled, it should be an easy matter to make the managed care companies responsible for both the costs and the patient. A simple court order to pick up the patient from jail and stabilize them in the community could suffice. Erecting more gulags won't work. They are effective only for enriching health care companies that profit by denying care for those with severe mental illnesses and addictions. They are also another hidden health care tax on the taxpayers who are already paying far too much in hidden health care taxes. Graphics Credit: ConceptDraw Pro - this graphic was included as an example with this software. Just when I thought that prior authorization could not get any worse, I see a fax with that headline. I guess the business geniuses who thought it was a good idea to send me that fax never stopped to consider what was wrong with that idea. What could that possibly be? Let me see, I have made several comprehensive assessments of a medical and psychiatric disorder that is extremely complicated, selected a medication that was seen as appropriate by medical consultants treating another major medical problem, did all of the medical screening for this particular medication including a meticulous search for drug interactions across 3 different data bases, thoroughly assessed the patient for side effects and complications from this particular medication and stabilized the patient on that medication. I also had a detailed informed consent discussion with the patient for this medication and not a general class of medications. YOUR PATIENT IS UNABLE TO START YOUR PRESCRIPTION BECAUSE WE WANT YOU TO PRESCRIBE THE CHEAPEST DRUG OR THE DRUG THAT WILL GET US THE BIGGEST KICKBACK FROM THE PHARMACY AND THAT IS WHY WE ARE IGNORING THE FACT THAT YOU HAVE PRESCRIBED A GENERIC DRUG AND WE THINK THAT ALL DRUGS IN ANY GENERAL CLASS OF MEDICATIONS CAN BE SUBSTITUTED FOR ONE ANOTHER AND OF COURSE WE DON'T REALLY CARE ABOUT THE TIME AND EFFORT EXPENDED IN THE EVALUATION AND TREATMENT OF THIS PATIENT AND THE FACT THAT IT WAS SPECIFIC TO THE DRUG YOU PRESCRIBED AND WE DON'T REALLY CARE ABOUT WHAT HAPPENS TO THIS PATIENT BECAUSE WE ARE IN THE BUSINESS OF MAKING MONEY AND WE HAVE NO PERSONAL RESPONSIBILITY TO THIS PERSON AND YES YOU WORK FOR US AND YOU WORK FOR FREE IN ORDER FOR US TO BE ABLE TO DO THIS. That simple 8 word phrase says everything about how medical care in this country has been corrupted for the enrichment of companies that make money by denying or interfering with care that has been carefully prescribed for patients by the doctors who know them the best. A serious rewrite is needed for their fax cover sheet. I didn't realize this until relatively late in my career and it has been interesting to counsel several younger colleagues about not making the same mistakes. Psychiatrists are continuously called upon to make up for significant deficiencies in the system. Any one of these gaps can lead to a crisis situation that the psychiatrist has to address immediately or lapses in the quality of care. In the extreme case they can render care impossible. Many of these deficiencies also require a considerable time commitment by the psychiatrist. That time is usually not compensated and often takes valuable time away from spouse and family. The deficiencies are the direct result of rationing resources and not having enough resources available. Another variation is that some of the staffing personnel available have no training or experience in how to assess and treat mental health problems or even discuss problems with psychiatric patients. There are many people who are assigned to that role and I am convinced they make things worse rather than better. Community mental health centers are often places where the deficiencies exist. They depend on government funding sources and the bureaucracy involved with some of these sources is only exceeded by the lack of adequate funding. In many places, the managed care model is adapted and that means that nearly all patient concerns are translated into medication complaints of the form "I am having problems because I am not taking enough medication(s)." Frequently the patients adapt to saying the same thing. Any astute psychiatrist walking into this setting may see all of the usual markers including most drugs being prescribed at or above the manufacturers suggested maximum dose, far too many benzodiazepine and sedative hypnotic prescriptions, drugs being prescribed for questionable indications, medications being prescribed for a condition that should be treated first with psychotherapy (and the affected patients never received that therapy), and a lot of medications being prescribed to patients who clearly have a substance use problem. There is generally a lackadaisical approach taken to the medical side of monitoring the patients including no monitoring or intervention for the metabolic side effects of medication, no attention to drug interactions, and no diagnosis and treatment of the neurological effects of medication. Psychiatric practice is simplified to a contracted practitioner prescribing medications for a broad array of problems. In many cases staff from the mental health center will call that practitioner when they are not on site and the request and/or response will be an increase in medication dose or a new prescription for medications. Inpatient psychiatric units tend to attract psychiatrists with a lot of medical expertise and an interest in those matters. The first problem is often a lack of medical services in terms of consultants or the necessary hardware. Unless there are medical consultants and a clear delineation of responsibilities this may result in a significant additional time commitment to psychiatrists. Thinking of admissions, the first step is who does the history and physical. After a comprehensive psychiatric assessment it might only take an 20 minutes to do a medical review of systems and physical exam. Depending of the medical complexity of the patients it may take an additional hour or two. The second point is what is now called medication reconciliation. That means that all of the medications the patient taking for medical and psychiatric purposes. That is very easy in the case of one medication. It is not so easy when a patient cannot accurately report their medications or they are taking up to 20 medications. Those medication may include several apiece for chronic medical conditions like hypertension and diabetes mellitus. There are also decisions that need to be made about which medications can be restarted and which medications need to be acutely discontinued. That can lead to hours of time for an admission procedure that in a typical system of care is supposed to take an hour or less. There is a strong incentive for administrators to have the same physician cover both the medical and psychiatric side of inpatient treatment. It is far more cost effective for medical consultants to see patients elsewhere in the hospital. Young psychiatrists wanting to do both jobs should be aware of the fact that most places would be more than willing to have you commit that kind of time. Other residential settings can lead to problems similar to inpatient psychiatric units, but tend to be less intense on the admission side. In many cases psychiatrists are consultants to a number of facilities like corrections, drug and alcohol treatment facilities, and nursing homes. All of these settings present unique challenges to rational psychiatric care ranging from subtle to more obvious. In many cases the obvious problems seem to escape notice by many of the people in charge today who have no clinical training. An example of some of the most subtle but disruptive problems are the psychodynamics of treating groups of people in an environment with a significant number of treatment staff. In that setting some of the characteristic psychodynamics of people with personality disorders occurs and leads to significant problems. A couple of good examples include staff splitting and projective identification and I will deal with these defense mechanisms extensively in a second post. In this post I will give a hypothetical example of how disruptive these defenses can be in a staff and an administration that is poorly set up to deal with them. Consider Dr. A. a seasoned inpatient psychiatrist with many years of experience. Dr. A is highly regarded by the inpatient staff and her colleagues, but not so by administrators in her department. With administrators, she is regarded as having a length of stay that is too long, because she refuses to discharge patients with inadequate evaluations or evidence that they will not be able to adequately function. She has had several meetings with department administrators on this subject but stands her ground on what she sees as professional standards as opposed to managed care guidelines. Nevertheless, she does feel the pressure from the administrators and does end up discharging a young man to a group home. He has difficult to treat bipolar disorder and diabetes mellitus Type II and she made the difficult decision to treat him with an atypical antipsychotic despite the metabolic warnings for this class of medication. He did not have all of the markers of adequate progress for discharge that she likes to see but he was sleeping well and no longer grandiose. The patient in question is discharged and returned in 3 weeks. He is agitated and manic. Dr. A notes that the patient saw a practitioner in the time he was out of the hospital and the dose of medication was cut in half. That acute dose reduction was associated with the recurrence of manic symptoms. Dr. A ordered the full dose of the medication and to contain the patient also ordered 1:1 staffing to redirect him from conflicts with other patients. There was a hospital wide initiative to reduce the amount of 1:1 observation time. On of the nursing staff suggests that the patient is getting special treatment because Dr. A has the "hots" for him. The patient was regarded as attractive and referred to Dr. A as his "girlfriend". None of the nursing staff notice that the staff person doing the 1:1 observation was verbally accused by the patient of stealing money from him during the previous hospital stay. Part way through the shift the patient punches the staffer in the arm with a good amount of force. The staff person is not injured, but an inquiry is held. Dr. A walks into the inquiry and notices the administrators, some of them from the various disciplines on the unit. The administration of disciplines in this hospital is in a silo manner like most hospitals with separate administration for physicians and nurses. The question the group will consider is apparently the accusation by the nursing staff that Dr. A was prescribing an "inadequate" amount of antipsychotic drug even though the orders clearly show that the patient was given a dose that was beyond the maximum FDA recommended dose and the patient has diabetes - a reason for caution when using this class of drugs. None of the staff in the room was aware of the previous confrontation that the patient had with the staff that was assaulted. By making these points Dr. A seemed to be able to satisfy the requirements of the inquiry but suddenly out of left field, one of the nursing administrators suggested that Dr. A had a "communication problem" with the nurses and had in fact "ignored" one them. The entire room of administrators seemed to be in agreement about this despite the fact that all of the nursing staff working that day had been interviewed an none of them had seen this pattern. The final result was that the panel decided that Dr. A would meet with the inpatient director and the aggrieved nurse on a regular basis to focus on the "communication problem" that Dr. A allegedly had. The case of Dr. A is an excellent example of staff splitting the resulting very negative outcome for Dr. A. The reality of the decision is that Dr. A had done nothing wrong. She is very competent and used to making tough decisions in impossible situations like the one described above. Her professional competence includes neutrality toward patients and she has never acted in an inappropriate manner with any patient. In this case the process results in her being treated like a novice and punished for something that never occurred. All of this is the result of treating a patient with difficult problems, and a lack of understanding on the part of the staff and the administrators about what was happening in terms of interpersonal dynamics. Dr. A ends up being scapegoated and her confidence in decision making is temporarily affected until she can put the pieces together and figure out what happened. Watching how the key staff interact in similar situations in the future is also helpful. What gap occurred in the scapegoating of Dr. A? The best psychodynamic hospitals have group meetings for staff to examine the dynamics especially in the treatment of patients with complicated problems or complicated developmental histories. Most acute care hospitals have no team meetings at all. The basic premise is that the wards are short term holding tanks until the medications kick in and the patients can be discharged. These days the medications don't even have to kick in as patients are discharged with a significant amount of symptomatology. There is no analysis or discussion of defense mechanisms and projection that results in threatening behavior is generally handled as an acute psychotic symptom with medication. I have really never seen any hospital administration recognize that this is a shocking deficiency and in many cases the splitting is worsened by administrative maneuvers. Having an administrator with no clinical training dictate how complicated patients with aggressive behavior are handled is a great example. These large gaps also translate into a lack of quality in psychiatric care. It is what happens when businesses and governments marginalize the role of physicians and exaggerate the importance of business administrators. The practical implications are that psychiatrists should really avoid practice situations with these obvious gaps. It would be great if the American Psychiatric Association would step up and comment on how these gaps should be closed but they appear to be disinterested in what is happening to the practice environment for psychiatry. 1. The event is a projective test - there are clearly individuals and groups who have specific points or observations that they would like to make about the person or event. Those points may have very little to do with the reality of that person's life and more to do with the agenda of the observers. In the worse case scenario there may be public remarks that are controversial or in some cases very negative about the person or the event they were involved in. Nobody ever seems to bring up the obvious conflict of interest issues when these remarks are made, not the least of which is selling more media stories. 2. In the case of a loss there is public but appropriate grieving. Reminiscences about shared common events and critical events in the persons public life are good examples. In this case, a psychiatrist generally has no more to offer specifically about that person than anyone else. In the event that the psychiatrist was actually treating that person, ethical guidelines prohibit any disclosure about that treatment even after death. That should include the identification of a person as a patient. 3. Stereotyping can occur and I am thinking of the general sequence of events that "this person belonged to this subgroup and what happened to him/her happens to a lot of people in this particular subgroup." Things are rarely that simple. 4. Medical professionals are no different from anyone else and may make remarks that have more to do with their own interests than the deceased or the aggrieved family. In some cases the medical professionals are paid to give their opinion in the media either as a regular commentator or as an interviewed guest. I have heard some argue that their credentials allow them to make special interpretations of events to the public, but I have never really seen that play out. 5. Commenting on these tragedies does very little to change the inertia in the system. The problems with the care for addictions and mental illnesses are well documented on this blog. The main problem is that our federal and state governments are oriented more toward enriching health care companies rather than providing practical and affordable health care insurance to the average person. They do this by a number of state sanctioned rationing schemes and that rationing falls heaviest on the care for mental illnesses and addictions. It is one thing to lament the tragedy of another fallen star, but the commentary is never followed up with any action to prevent further tragedies. 6. A condensed life is one worth living. A lot of media have canned obituaries that people have been working on for some time. In the event of an untimely death, it seems that there is a lot of cutting and pasting going on. It gives the appearance of a detailed analysis of the person's life. The appearance of thoughtfulness. People rarely think about why editors include some paragraphs rather than others. The press generally gets far too much credit for objectivity and there is not enough focus on the ever present conflict of interest. Articles are written after all to generate advertising dollars and in today's world that means clicks. Controversy generates clicks and detailed objective analysis does not. If it was up to me (and it clearly is not) - the whole process of the way celebrity tragedies are covered and reported would be revisited. There is no evidence that I am aware of that the wisdom of professionals or public health officials regarding mental illness or addiction treatment is conveyed any better in this context than others. The more specific problems of drug addiction and suicide are after all tough problems that generally do not respond well to basic education. Attaching celebrity to those problems does nothing to heighten awareness or advance the public health message. These tragedies are also common. It is difficult to find a family that has not been personally impacted by similar events affecting the people that they personally know. I take a very negative view of trying to "analyze" a persons problems based on media reports and other sketchy information and yet it is common to see experts in the media drawing all sorts of conclusions. What I have personally found useful in the grieving process is a review of the person's positive accomplishments. It is amazing what an "average" person can accomplish over the course of their lifetime. Celebrity in all likelihood extends and intensifies that list. It is also a prerequisite that people who actually know the person - that is people who have been in real relationships with that person - compile the list. With that approach experts are left with offering their condolences to the survivors - like everybody else. The details of this grant and some of the history of previous grants are given in this press release from the Broad Institute. A few of the details include the fact that the Broad Institute has about 150 scientists working on the genetics of severe mental illnesses. That focus includes detailing the genetic basis of these disorders, a more complete elaboration of the the pathways involved and developing molecules that can modify these pathways as a foundation for more effective medical treatment. The focus of this group is on severe psychiatric disorders including schizophrenia, bipolar disorder, autism and attention deficit-hyperactivity disorder. It was also the single largest donation for psychiatric research - ever. Any search on research grants over the past decade will produce thousands of research articles that were funded by the Stanley Foundation. The press release details the fact that grants from the Stanley Foundation have been incremental and that they are obviously monitored for progress by the grantees who are satisfied with the progress being made. That has not stopped some critics from suggesting that the money is basically either wasted, that it could be better used for symptom control, or that it would be more useful for research in symptom control. My goal here is to question some of these arguments about basic psychiatric research in much the same way that I question the arguments that usually attack psychiatric practice and clinical research. My speculation is that the underlying premises in both cases are very similar. The basic arguments about whether it is a good idea to fund basic science research as it applies to psychiatry range from speculation about whether or not it might be useful to the fact there are more urgent needs to funding on the clinical side. Many of these arguments come down to the idea of symptom management versus a more scientific approach to the patient. There are few areas in medicine that have a purely scientific approach to the patient at this time. The more clearcut examples would be locating a lesion somewhere in the body, performing a biopsy and making tissue diagnosis. That is an example of the highly regarded "test" to prove an illness that seems to be a popular idea about scientific medicine. But in that case the science can run out at several levels. The diagnosis depends on correctly sampling the lesion and that can come down to the skill of the sampler. It depends on the agreement of pathologists making the tissue diagnosis. The tissue diagnosis may be irrelevant to the health of the patient if there are no treatments for the diagnosed illness. In many cases in medicine, treatment depends on symptom recognition and monitoring. In some cases there are tests of basic anatomy or function. A good example is asthma. As I have previously posted here (see Myth 4), the majority of asthmatics have inadequate control of asthma and the approach to asthma is generally symptom control. The current basic science of asthma depends on identifying genes and gene products that will allow for more specific treatment of the underlying pathophysiology and there are surprising similarities with mental illnesses. For example, there is no single asthma gene. The genetics of the various aspects of asthma pathophysiology including the degree to which it can be treated is assumed to be polygenic in the same manner as the genetics of severe psychiatric disorders. The only difference being that a larger portion of the human genome is dedicated to brain proteins (personal correspondence with experts puts that figure as high as 25%). Genome wide association studies of severe asthma can have as much difficulty identifying candidate genes that reach statistical significance. Any thought experiment comparing the reference pathway for asthma to any number of similar pathways that are operative for brain plasticity, human consciousness and the variants we call mental illnesses will show that there are surprising few specific interventions for asthma signaling and that signaling occurring in the brain is even more complex. The reason why we have impressive brain function is structural complexity at cellular, structural and biochemical pathway levels. And yet the rhetoric of critics usually considers asthma as a disease to be more legitimate than psychiatric disorders and the lungs are apparently considered a more legitimate target for research funding than the brain. "But there is a cruel paradox when it comes to mental disorders. While we chase the receding holy grail of future basic science breakthrough, we are shamefully neglecting the needs of patients who are suffering right now. It is probably on average worse being a patient with severe mental illness in the US now than it was 150 years ago. It is certainly much worse being a patient with severe mental illness in the US as compared to most European countries." Even when psychopharmacology became available to people in institutions it took a long time to make it to Main Street. In the small town of 10,000 people where I grew up, I witnessed a generation of people with autism, schizophrenia, post-traumatic stress disorder (from WWII and the Korean War) and bipolar disorder being treated with amitriptyline and benzodiazepines by primary care physicians. They may have been home from the state hospitals but with that treatment the outcomes were not much better. The only cruel paradox that I find quite offensive is the blatant discrimination of governments at all levels and their business proxies against anyone in this country with an addiction or a mental illness. I don't understand all of the bluster about a diagnostic manual that clearly has not made a whit of difference since it was released or endless debates about conflict of interest that apply to a handful of physicians when this massive injustice exists and when clinical psychiatrists have to deal with it every day and many times a day. I don't know who "we" refers to in the post, but I can say without a doubt that the technology and know-how is there to alleviate a significant degree of suffering for people with chronic and severe psychiatric disorders right now and at a very reasonable cost. That cost will not be the few hundred dollars that it takes to see someone in 4 - 15 minute "med check" clinic visits a year and provide them with (now generic) medications. No - one year of care will cost about the same amount as a middle-aged person presenting to the emergency department with chest pain. The reason why care for people with chronic severe mental illness is better in other countries is that there are no financial incentives in those countries for corporations to make money by denying care for the treatment of mental illness and addiction. That is the cruel paradox in this country, not neuroscience research occurring at the expense of clinical care. If a billion dollars was directed to clinical care in this country - my guess is that half of it would end up in the hands of the insurance industry rather than providing medical care. The image of the "receding holy grail" of a future basic science breakthrough is certainly admirable rhetoric, but it is just that. We have spent too much time rearranging the deck chairs of DSM technology. Is there any informed person out there who thinks that it makes sense to keep rearranging diagnostic criteria, while clinicians basically focus on the same handful of disorders? Is there any informed clinician out there who doesn't see the basic disorders as heterogenous conditions mapped onto unique conscious states? With those basic premises there are just a couple of possible outcomes. Continue pretending like the past two decades that everyone with these heterogeneous disorders can be treated the same way with a specific medication or type of psychotherapy. The alternative is to look for specific subtypes based on more than clinical criteria that will produce better treatments with fewer side effects and better outcomes. And since when is basic science research done in hopes of a clinical breakthrough? Basic science research is hypothesis testing in the service of more science. Science as the process that it is. Any criticism that initially critiques terminology based psychiatry and suggests that it is a vehicle for the expansion of the pharmaceutical industry while suggesting that research funds should be directed at symptom control based on those crude definitions and research is internally inconsistent and defies logic. I unequivocally applaud the past and current efforts of the Stanley Foundation. At a time when mental health research and clinical services are subjected to intensive rationing efforts, it is inspiring when a private foundation comes forward in the face of all of those biases and makes an statement about how important this area of science is. It is one thing to talk about stigma and quite another to come out and treat basic neuroscience and the associated disorders as seriously as any other major health problem. Hopefully it will inspire others to provide grants for funding research and the development of clinical neuroscience programs that can be applied and taught to psychiatrists during residency training. 1: Reardon S. Gene-hunt gain for mental health. Nature. 2014 Jul 22;511(7510): 393. doi: 10.1038/511393a. PubMed PMID: 25056042. 3: Shorter E, A History of Psychiatry. John Wiley & Sons. New York, 1997. I had the pleasure of dealing with another Pharmacy Benefits Manager (PBM) recently. It all starts with a fax from a pharmacy anywhere in the United States. The usual pharmacy fax that looks like a telegram. I know that because I can recall seeing railroad telegraphers in action in the 1950s and know what telegrams look like. Pharmacy faxes have that appearance. A partial Rx was listed on the front basically the drug and number of tablets with no instructions. The "date of request" was actually 5 days earlier than the date I got the fax. I pulled up the record and called the 800 number and listen to the usual disclaimers about why I might be recorded. I don't hear the real reason. PBM1: "Can I verify the patient's identification number?" PBM1: "Was that _ _ _ _ _ _ _ _ _ _?" PBM1: "Can I verify the patient's name and date of birth?" Me: I recite that information. PBM1: "Can I verify your name?" PBM1: "Can I verify your title?" PBM1: "Can I verify your secure fax number?" Me: I look it up and say it. PBM1: "Can I verify your office number?" Me: I state my phone number. PBM1: "Can I verify the medication?" Me: I state the name of the generic medication. PBM1: "Well I am going to have to transfer you to a pharmaceutical benefits manager. I also need to tell you that person will need to do the same verifications that I just did. Is there anything else I can help you with this morning?" Me: (suppressing the remark that they really have not done anything for me so far except waste my time) "No I guess not." PBM2: "Can this person not take the full dose of the medication?" PBM2: "The medication in this case seems like a lower dose. Can they not tolerate the full dose?" Me: "Let me say that I am reading this out of the record and I assume it is the same record you have, because I am looking at an exact copy of the prescription. I am covering for another physician and his prescription clearly states that the patient is to get two weeks of the medication and take three tablets a day." PBM2: "OK I have to fax this information to the pharmacist. The turn around time is 48 to 72 hours unless I mark it as an expedited review. Then you can get it back in 24 hours. Do you want me to mark it as expedited?" Me: "I don't know what difference it will make. Today is Friday and there is nobody in this clinic on the weekend. The prescription is already delayed by 5 days. I don't know what difference an expedited review is going to make." PBM2: "All right I will send it to the pharmacist. Is there anything else I can help you with today?" More wasted time. The entire length of time it took to listen to the recordings, recite data that the PBM already had to two different people and not get an answer on the "Prior Authorization" was 20 minutes. Not only that but this company continues to use me as their surrogate in that they are not contacting the pharmacy but sending me another fax to deal with in the next 24-72 hours. This is a simple vignette that illustrates the malignant effects of business and Wall Street on the practice of medicine in the United States today. I don't want to leave out the effect of every state and federal politician since Bill and Hillary Clinton suggested that giving businesses unprecedented leverage over physicians would be a good idea. If you read the vignette you have seen how a business can waste at least 20 minutes of a physician's time, prevent a patient from getting a timely prescription refill, and in the end leave the physician responsible for what is a business decision made to make more money for a company that has no direct responsibility to the patient. And all of these manipulations are for a generic low cost medication. A reader might not realize that physicians often see 10-20 people per day and in many practices have only 15-20 minutes to see each patient. That means that they could easily spend as much time getting a single prescription approved as they did assessing the patient. The additional business genius here (how many MBAs did it take to think this up?) is that by sending the final fax back to the physician rather than the pharmacist, it leaves the physician on the hook for being blamed for the prescription not being refilled. How many times have you heard from a pharmacist: "Your doctor's office did not call us back yet?". In how many cases was it due to delay that I just described? To recap, it takes the PBM anywhere from 5-8 days to handle a decision about a medication that I turned out in 20 minutes. But wait a minute, it takes the PBM 5 - 8 days plus 20 minutes because this decision was already made a week ago by a physician. Hoax is not a strong enough word. Supplementary 1: I could not fit this in to the above post but I also thought about how medical businesses are caught up in customer satisfaction surveys to show how great they are. In that case they are banking on the fact that they can use physician qualities or psychological tricks rather than real measures of medical quality to get "performance scores" that they can use for marketing purposes. I would suggest that anyone who is handed a customer survey by a health plan clinic or hospital remember their pharmacy experience when they complete that form. Let them know that you are very dissatisfied that your prescription was delayed or changed just so one of their contractors could make a few bucks. Supplementary 2: I have several posts on this blog about PBM and managed care delaying techniques. I came across and excellent post by a financial blogger on how her interaction with the same insurer has changed over time. I would really like to see more people come out with their experiences and go public. Feel free to post it here, but don't name the actual company. Post only your experience. I know for a fact that PBMs monitor this blog, because I got called by one of their VPs within 12 hours of naming the company. I will only be able to do that when I am no longer employed. Every now and then Netflix surprises me and seems to include come content of interest to psychiatrists. I watch a lot of Netflix basically because I have a WiFi ready TV planted in front of my ergometer. I rid an ergometer at least 4 times a week and as anyone who has ridden indoor cycling trainers can attest, that can be painful activity without some diversion. I had just finished watching a biographical piece about Harry Dean Stanton and found the movie Jimmie P. It starred Benicio Del Toro and I started watching it on that basis rather than the description that had something to do about psychoanalysis. Del Toro stars as Jimmie P. or Jimmie Picard a Blackfoot Indian who also happens to be a returning World War II veteran. We subsequently learn he was a sniper in the war but never shot anyone. We see a scene where he falls out of the back of a transport truck and sustains a severe head injury. It is that head injury that sets the story line for the film, the story develops through flashbacks. I decided to start watch this film based on two things. The word "psychoanalysis" and the name "Del Toro". I am not a psychoanalyst, but I have been trained in psychotherapy, have done psychotherapy, and have had a great deal of success with psychotherapeutic interventions. At the time I was trained all residents did psychotherapy training and were supervised intensively. One hour of supervision for every hour of patient contact. A lot of that supervision was painstaking. Reviews of audio tapes, video tapes and process notes. I was intensively supervised on 3 extended psychotherapy patients per week so that was 150 hours per year for three years. There were also group seminars, group supervision and seminars that consisted of case discussions. Much of the supervision I had was done by psychoanalysts or psychodynamically oriented psychotherapists. There were also existentialists, cognitive behavioral therapists, and marriage and family therapists. My experience with these supervisors was generally positive, but as you might imagine it was also a grind at times. At times, I felt like I was too physically, mentally, and emotionally drained to go into these sessions, but I made them all. I include this information to illustrate a potential bias in my viewing a psychotherapy movie. Benicio Del Toro always piques my interest. I don't think there is any other contemporary actor who can play the conflicted bad man as well as he can. He is visually interesting to watch and has huge screen presence. He is one of the few actors that will prompt me to watch a film cold without much knowledge ahead of time. In this film he shows his range in his portrayal of a very real guy coming back from the war. He is a conflicted good man and in fact he is too good at times. When I was a kid growing up there were many uncles who came back from the war, and as I grew up it was common to hear that a particular person was "never the same" after they came back from the war. I am old enough to have observed that effect of war on another three generations. Jimmy P. was one of those guys. I didn't think of it at the time, but I also have in interest in Native Americans and their culture. I was born and raised between two reservations. I note that some of these reservations have been renamed as tribal homelands. I went to school with folks from these reservations and played sports with them. My uncle and I were fortunate enough to be on a baseball team that was predominately Native American ball players. My grandfather and I fished on the reservation, almost exclusively. Even though those experiences were always positive, the most instructive aspect about knowing about Native Americans and some of their personal situations was the development of biases against them. Over the last thirty years, they have been more assertive and in some cases more successful. They have been granted rights that are viewed as controversial by non-native groups, specifically fishing rights. The backlash has been significant enough to lead any objective observer to conclude that relationships with the native population is actually worse than when I was sitting in a boat on Bad River with my grandfather. These first four paragraphs are a good indication that there psychodynamic influences in the very decision to select a film. Getting back to the movie - we first see Jimmie P. at his sisters home. He is having difficulty functioning. He is sleeping late, but also has debilitating headaches and a sense of dysequilibrium. At times he collapses with headaches, chest pains and is sweating through his clothing. We learn that he has already been medically assessed and that he has a significant scar on the top of his head. He is eventually admitted to a VA facility that is headed by Karl Menninger. The focus of the admission is to determine whether or not there are any organic factors involved in the presentation or whether a functional illness is present that can be treated with psychotherapy. The diagnostic interventions are vague and understandably crude. For some reason a pneumoencephalogram was postponed until near the end of the film and we learn that the goal was to rule out a cholesteatoma! At the end of the initial evaluation Dr. Menninger's team is coming up with no medical explanations for Jimmy's symptoms. Dr. Menninger places a call to Georges Devereux, who is identified initially as an anthropologist with a knowledge of Native Americans. He convinces Devereux to come to the hospital and do an assessment on Picard. It was unclear to me about his professional orientation apart from his qualification as an anthropologist but it became apparent that he was also functioning as a psychoanalyst and getting his own analysis from faculty at the hospital. After several interviews he presents his formulation to Menninger and colleagues and they like what they hear. They ask him to stay on and engage Picard in psychotherapy. The bulk of the film is a detailed psychotherapeutic conversation between Devereux and Picard. That is where the real work for the viewer comes in. My speculation is that whether the viewer does stay engaged depends on their psychological mindedness or ability to stay interested in the narrative. That narrative that is built on Devereux's interpretations and clarifications and flashbacks that are designed to elaborate on what Picard is describing in the sessions. There are several indirect discussions and enactments of transference and countertransference in the film. In one very good scene Picard gets angry with Devereux and they discuss the importance of discussing the anger and associated events with the therapist. There were also many good examples of real situations and how they are handled well but at times imperfectly in therapy sessions. Scenes like this can lead experts to take issue with the way they are portrayed in the cinema. My usual standard for cinema is that it is well executed from a technical cinematic standpoint, that it is entertaining and that I like it as art. It certainly passes that standard. Since we are dealing with just fragments of therapy sessions, any errors are difficult to assess. I found myself thinking about taking too many notes early in the course of therapy as a possible example. Therapy was also portrayed as hard work that results in somewhat erratic progress. The necessary relationship for therapy and a working therapeutic alliance seemed to be emphasized in the film, but over the course of the film it seemed like Devereux became more distant. It may have been written that way to show the effect of termination and possibly supervision on the part of the analyst. Devereux's personal life is also a focus in the movie. He is having an affair with a married lover Madeleine. Many critics see this a a diversion away from the main text of the film, but I saw it as more important than that. In many ways Madeleine is an idealized lover. She is bright, very attractive, likeable, and at times dotes on Georges. In my observation of Georges, he just does not seem to have a lot going for him. He seems to spend a lot of time on anthropological junkets, is somewhat of a nerd, does not seem emotionally resonant with Madeline, and seems fairly indifferent when it is time for her to leave. Madeline also has a statement and a soliloquy in the film that I saw as critical. One is an overview of how the brain is the central organ in the body and the role of psychoanalysis in psychosomatics. The other has to do with the impact that an idealized lover has on a person, why they do not need to be forgotten, and the ongoing impact on one's life. I think that she also provides contrast between the advice that the analyst gives his patient and how he runs his own life. That is an interesting thought in a movie that includes Karl Menninger. One of Menninger's theories is that there is not much difference between people with mental illness and people who don't have mental illness. Jimmy P. is a great illustration of that idea extended to include the fact that there is really no difference between Native Americans and the rest of us. People seeing this film can probably identify with many of the themes and conflicts that Jimmie P. had to deal with. I had the usual associations to the film. I have treated many people with psychosomatic problems like Jimmy P. These days most of the work has to go in to the idea that there is not a pill for these problems, but that other strategies can be useful. It is very probable in modern times that the correct treatment of these serious psychosomatic symptoms gets buried under a long series of "medication trials." I could see Jimmy being diagnosed with Post Traumatic Stress Disorder, Panic Disorder, Major Depression, and possibly an alcohol use disorder. I can see all of that happening in one 20 minute session by a nonpsychiatrist. I could see him walking out of that first session with an SSRI, a benzodiazepine, and possibly prazosin - all medications high up on the PTSD algorithm. The issue of diagnosis came up in the last meeting between Picard and Devereux. After discussing the pneumoencephalogram results, Devereux asks whether Picard would like to know his diagnosis. He hands him a piece of paper with the diagnosis "Psychic Trauma". That's my initial review. There are some addition reference materials I would like to look at including a suggested book and the actual script. A script with dialogue this intensive probably requires an additional read or two. There is a lot of information contained in the dialogue between Picard and Devereux. As far as I know there are no good models or methods for analyzing the information content in therapeutic sessions and how that information is used. I ended up rating the film 5 stars on Netflix. But keep in mind that rating is from a guy who has talked to people at least 6-7 hours per day for the past thirty years. Matt Zoller Seitz. Jimmy P. This is a good review by a professional reviewer who thought this was a good film and has opinions about it that contrast with mine. Supplementary 1: Given my comments about psychotherapy and psychopharmacology it is easy to see how those issues can be politicized and how discussions about both of those modalities can be very polarized. The fact that a person with complex problems is more likely to see a psychopharmacologist first should not mean that they are not receiving psychotherapy informed treatment. One of the most striking examples that I can think of is a psychopharmacologist I worked with for many years. He started and ran a psychopharmacology specialty clinic. The people who saw him had a uniformly positive experience based on their relationship with him and what how he discussed problems with them. He was and is certainly an expert in psychopharmacology but he was providing a lot more than that. I think we are past the time where there needs to be an open discussion and guidelines about psychotherapeutically informed psychopharmacology. That would include a focus on the relationship, a discussion about that fact that there are probably other things that need work in addition to the medication, and a discussion of the meaning of the diagnosis and meaningfulness in general in a persons life. These ideas have obvious implications for the stilted billing and coding system and the idea that anybody can prescribe psychiatric medications. Expert prescribing requires knowing about what is going on in addition to the diagnostic criteria and algorithms and what else can be done.